Asian food is probably one of the most flavorful and unique. As a food lover, I’ve created this dish inspired by the flavors of Asia! Marinate chicken with the rest of the ingredients for 15 mins. While the chicken is marinating, prep the grill. 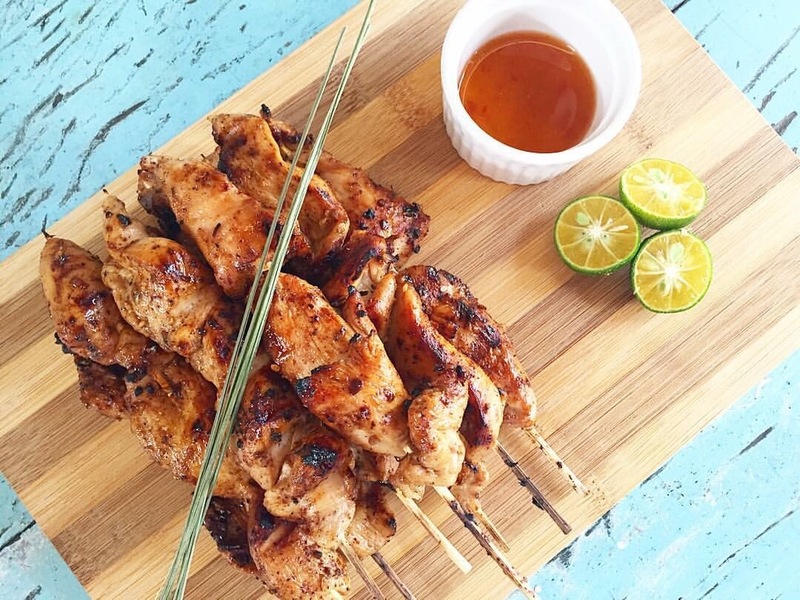 Once the chicken is well marinated, start grilling the chicken in bamboo skewers until its well done. Serve with an asian dip made of vinegar, sugar and crushed chillis. Im really going to try this out… So proud of you Neil.